This luxury brand, Moroccanoil, is the originator and leading manufacturer of professional argan-oil hair products and the fastest-growing independent company in the professional salon industry. A powerful antioxidant and UV protector, Moroccanoil’s proprietary argan-oil blend is rich in vitamins and natural elements that fortify the hair, including Vitamin F (Omega 6), Vitamin A to improve elasticity, Vitamin E to protect against free radicals, and phenols to shield against environmental stressors. 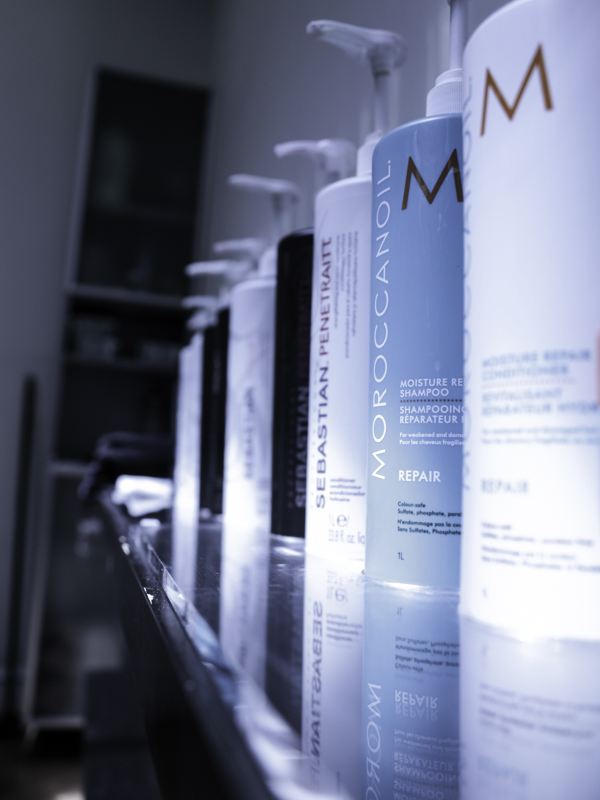 Salon-exclusive Moroccanoil products have a strong following among leading runway, film, television and celebrity stylists who search for the very finest for their A-list clients. Moroccanoil is a backstage fixture frequently used to create hair for major magazine covers and fashion editorial spreads, as well as for award shows including the Oscars, Golden Globes, Grammys, Independent Spirit Awards and MTV Awards. Light – weightless shine shampoos and conditioners to gently cleanse and purify the hair’s condition for weightless, flawless shine. Colour safe. Hydre – a range of moisturizing shampoos, conditioners and intensive treatments to rehydrate dry, frizzy, chemically treated hair and reinvigorate silky body and bounce. Colour safe. Volupt – achieve great heights with this volume boosting shampoo and conditioner, with weightless micro-lite technology to effortlessly enhance your style. Volupt – volume building spray gel utilises root lift technology to add full on volume and sensual softness. Professional haircare brand Fudge has undergone a revamp, and it is one of the most innovative, creative brands on the market. The focus is client, the professional hairdresser first launched in the early Nineties, Fudge introduced Hair Shaper, the cult styling product brilliant for shorter hair. Men especially went mad for the unique product. Today, Fudge is seen as a cult brand with a diverse, high-performance product range. Key products for you and clients to fall in love with include the cult classic Hair Shaper, Skyscraper, the hairspray loved by session stylists around the globe, Salt Spray for that beach look, Matt Hed Extra for the ultimate matte look, hydrating Hot Hed Style Whip and Paintbox, the creative rainbow colour range that has never been more relevant as the perfect tool to create stand-out looks for your fashion-forward clients.